Guilty pleasures are much on my mind of late. Charming Suitor and I started a Guilty Pleasure Movie Series with some friends of ours, about once or twice a month we have dinner and a movie night. We alternate who gets to choose the movie. The rules are, it has to be a guilty pleasure, not one of those movies in the pantheon of great films...nope, we are talking about those movies that if you are flipping channels and spot it, you have to stop. Some of the movies we have watched so far include Ghostbusters, Wayne's World, Addicted to Love, Face Off, Lost in America, Airplane, Valley Girl, Modern Romance, Scott Pilgrim vs. The World. Some really hold up surprisingly well. (Wayne's World) Some REALLY do not. (Valley Girl) But many discussions have been brought up about the idea of the "guilty pleasure". And how much the guilt and pleasure part are intrinsically connected, that the nature of the enjoyment is in direct correlation to how sort of sheepish we would be if people knew about it. It feels almost like getting away with something, stealing a couple of hours for a less than stellar movie that, for whatever reason, holds a special place in your heart. The same thing happens with food. I love really good food. Top quality. I try very hard to stay away from processed foods full of unpronounceables. I buy meat, poultry and eggs from either a local farmer, or a butcher I trust. Charming Suitor and I mostly make our own lunches, cook dinners about 5 nights a week, and go to decent restaurants or dine at friends homes for the rest. We are lucky that even our last minute take-out options are pretty great nearby restaurants, a small family-owned Italian place, a terrific Japanese/Sushi house, an amazing Filipino soul food place, an organic rotisserie chicken joint, awesome Middle-Eastern, the best Thai food in Chicago. I would say that 98% of what I put in my mouth is made from amazing fresh seasonal ingredients by either myself or skilled chefs. Yup. The guilty pleasure foods. The ones that you would never admit to in public. The ones you don't even buy at your regular grocery store, hiding them under the QTips at Walgreens, or at a little convenience store off the beaten path. The ones you remember from college or early childhood, that evoke amazing sense memories, but are generally really bad for you. I can give you fantastic recipes all year long, recommend delicious restaurants, but just because I am mostly devoted to great quality eats, I am not immune to the guilty pleasure. I know. It is shameful. These are horrible horrible things that can barely be considered food. They provide way too much carb, fat, salt and chemicals and nearly no actual nutritional value. But for whatever reason, once a year or so, they call to me. Usually when I am in the last month before book deadline and any type of real cooking seems to use too much bandwidth, and I'm in need of not only quick food, but also comfort. I seem to revert right back to college finals eating, minus the Jeana's steak and cheese subs and the Chinese delivery that weirdly came with poofy kaiser style rolls for free, but made you order white rice. Unlike movies, which we have discovered can be shared with varying levels of enjoyment with friends, guilty pleasure foods sort of have to be eaten alone. 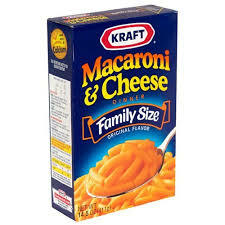 You can't ask people over for dinner and serve them this stuff, they would never come back. And unless your significant other shares your particular guilty pleasure foods (CS does not. But I don't get his Popeye's chicken thing either, so we are even) you are stuck. But there is a certain amount of psychological benefit to naming and claiming your guilty pleasures. To owning them, acknowledging them, and indulging them occasionally in moderation without beating yourself up about it. So I am declaring this Name Your Pleasure week. And since Ice Cream is a pleasure sometimes guilty (whole pint of Chubby Hubby in one sitting out of the container while watching Real Housewives) and sometimes not (demure little scoop of organic gelato with a single wafer cookie and a sprinkle of fresh berries), I've got two Oxo Good Grips ice cream scoops to give away. 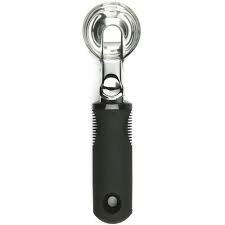 Comment below with your top guilty pleasure foods and movies by 11:59 CST on Tues May 14, and I will pick two of you to win these awesome scoopers. Only rule? No judging here, Chickens, we all have our stuff. Please keep comments positive and supportive. And if someone names something you love too, let them know so they don't feel so alone. When I was growing up, artichokes were a mysterious vegetable, closed and secretive, and impossibly elegant. They were a thing of myth that I read about in books, descriptions of lavish Victorian dinner parties where they were served hot, dipped in clarified butter, or cold at luncheon, stuffed with crabmeat. Every once in a great while we would have them at home, always served with butter for dipping, and maybe a wedge of lemon. They were festive and delicious and rare. More often than not, my experience with artchokes was in the form of canned, mixed with all sorts of unctuous cheeses and mayonnaise and secret ingredients that my godmother used to make insanely good hot artichoke dip, served with cocktail rye. I could eat a vat of the stuff. The canned versions showed up on salads, when we started getting more creative at home, but those whole, fresh, steamed beauties were still a rarity. There are certain moments I remember vividly from my childhood that imprinted and made me make early decisions about how I was going to handle my business as a grown up. I remember the old black and white movie my dad and I watched one sunday afternoon, where a guest arrived unexpectedly at the home of the heroine and was offered a drink. "Champagne, please." the guest said without a second thought, and the lady of the house went to fetch a bottle of bubbly. The idea that someone could just ask for and RECEIVE champagne, on a random weekday afternoon and not on New Years or at a party seemed insanely fabulous, and I swore I would always have bubbly at the ready when I was a grown up, and not only drink it on special occasions. And you can ask any of my friends about "Tuesday Champagne" at my house, it is a promise I kept. Some of my vows weren't the smartest. I hate coming home to a dark house. Years of parental admonitions to "Shut the lights off!" when leaving rooms made me mutter under my breath that when I had my own house I would leave the lights on all the time. And I do. Compulsively. All over the house. Makes my poor Charming Suitor crazy, and he is forever shutting lights off behind me and tsking. Artichokes are like that for me. The Champagne of vegetables. I always loved them so much, and hated that they were relegated to special occasions, that they were so infrequent. So when I started cooking for myself, one of the first things I wanted to master, in addition to a perfect roasted chicken, was the simple, steamed, artichoke. Despite their look of vegetal armor, the little spikes that draw blood if you aren't careful, the furry choke that threatens to live up to its name if you accidentally try and eat it, artichokes are simpler than you think. Buy them fresh, look for ones that feel slightly heavy for their size and have tightly compacted leaves. Artichokes are best between May and July, but whenever you spot them, just give a squeeze to see what kind of shape they are in. The leaves should almost squeak under your hands. And for every two artichokes, be sure you have one lemon handy. First off, use a sharp serrated knife for your trim work. These prickly thistles love to roll around on you and you need something that grips. I use an 8 inch serrated bread knife. If you are prepping them for a dinner party and aren't going to cook them right away, make a large bowl of acidulated water (juice of one lemon or 2 T white vinegar to every 4 c water) for storing up to 6 hours. If you are prepping for cooking right away, you can just rub all the cut edges with a half a lemon to prevent browning. Slice off the stem end flush. I know the restaurants love to peel the stems, but frankly it is annoying and you don't get enough extra meat to make it worth your while. You want to be able to work fast and this is the best way. Using your serrated knife and cutting away from you, trim the hard covering off of the bottom in about one inch sections until the whole thing is exposed, you'll take most of the outer leaves of as a result, which is a good thing. You just start at the center and slice outward, all the way around. Any leaves remaining that look sad or brown, you can just snap off. Then put the thing on its side and slice the top off, taking all the prickles away in one fell swoop. Don't forget to either rub the edges with lemon or drop in your water bath, or you will have ugly brown bottoms and leaves. To cook, place the artichokes bottom side up on a steamer basket over 2 inches of cold water in a large pot. Don't boil them, they'll get waterlogged. If you don't have a steamer basket, turn a colander over and prop them on there. Cover and cook on high about 30-40 minutes until the bottoms give easily to the poke of a fork. uncover and let sit there upside down for 10 minutes. You can serve hot or cold, but my fave is room temp, all their flavors really come to the front then. 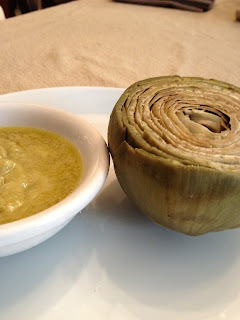 And while usually I would not shy away from any butter-delivery-device, I don't do the butter dunk with my artichokes. I make a pungent and thick vinaigrette with shallots, lemon juice, dijon mustard, capers, and extra virgin olive oil, going far heavier on the lemon and dijon than I would for delicate lettuces. The acid brings out the richness of the artichoke meat instead of competing. But you should dunk however you like. The best part is that artichokes are very good for you, low in calories (about 50 per), high in fiber. When they are in season, Charming Suitor and I eat as many as we can...I will make 8 at a time and keep them in the fridge for snacking or quick easy lunches. Artichokes and a roasted chicken is our idea of a heavenly spring or summer dinner. And nothing goes with it better than a crisp glass of champagne. Especially if it is Tuesday.